Hanging a wall plaque in pride of place gives someone a chance to appreciate their achievements on a regular basis. We stock a refined selection of wall plaques in a variety of finishes for fast delivery to the address of your choice. Challenge Trophies Online knows how important it is to recognise significant achievements. 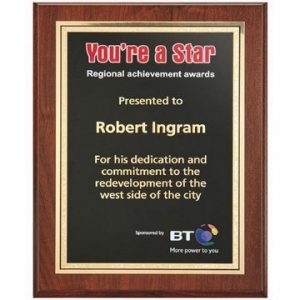 You may need award plaques for corporate events or educational achievements. These can be chosen and ordered via our website by following the simple instructions provided. Personalisation is also available. Simply enter the correct details when requested. 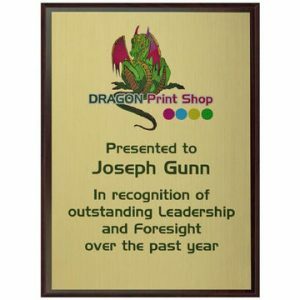 This can be done when you order an individual plaque or when you reach the checkout stage if you are ordering several. You can select your chosen options from wooden plaques and brass plaques. Personalised wooden plaques are easy to order in a range of different sizes, as are the brass options. An engraved brass plaque would certainly be a fine recognition of an achievement of some kind. Choose from a variety of sizes in many cases, so you can adjust the final price and how significant the award will be. Once you have entered your engraving details where prompted, you can check and edit them before checking out through our secure website. 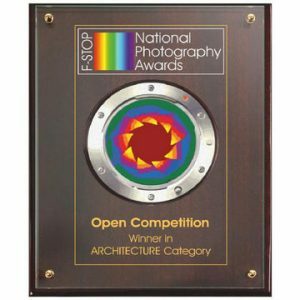 We can handle orders for single wall plaques or multiple plaques or trophies of other kinds as well. 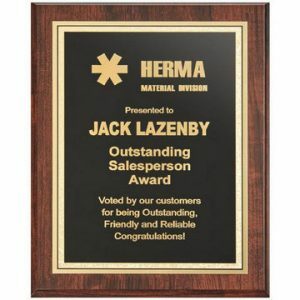 An engraved brass plaque is easy to choose at various price points depending on engraving and size. Remember special events and special people with the aid of Challenge Trophies Online. We can help you find, select and order each item quickly and efficiently. Our delivery service is fast and you can rest assured every order is handled by our experienced and dedicated team members.